From left to right: Laura Macias from JOYA Scholars, Lorena Zamora, Carrie Buck and Rodrigo Zamora stand together in front of the H.I.S. House offices. 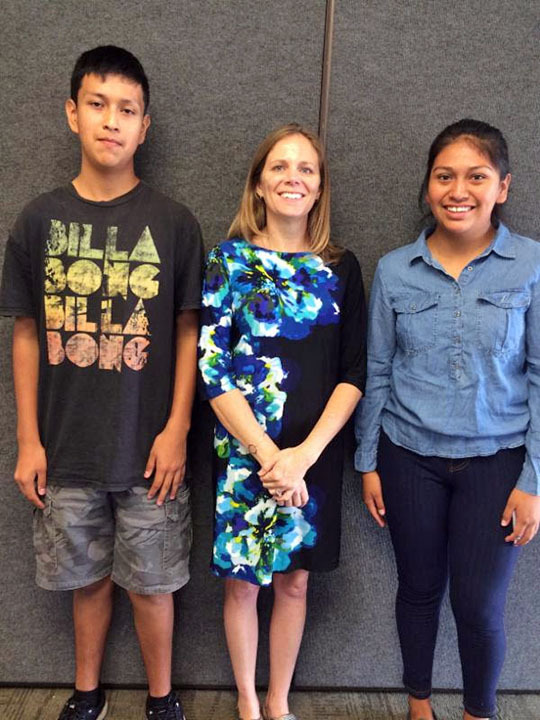 In a recent newsletter, JOYA Scholars highlighted PYLUSD students Lorena and Rodrigo Zamora from the Garnet neighborhood in Fullerton. Lorena is a sophomore at El Dorado High School, and Rodrigo is an eighth grader at Tuffree Middle School. 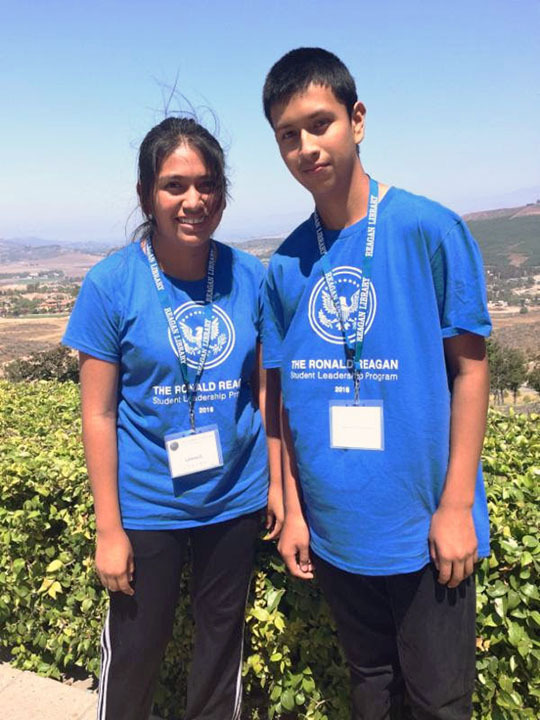 Last summer, nearly a dozen of our students attended a weeklong student leadership camp at the Ronald Reagan Presidential Library in Simi Valley, California. Not long after they returned home from the Library, Lorena and Rodrigo reached out to H.I.S. House’s Executive Director, Carrie Buck [and PYLUSD Board of Education Clerk], to discuss their plans. H.I.S. House is a nonprofit organization located in Placentia that provides transitional shelter to families and individuals who are homeless and in need of lodging, food and clothing. “Although our family doesn’t have much, there are those who have even far less than us,” shared Lorena with the director. Their next step was to get fellow high school students to donate gently used shoes and socks. Thanks to JOYA Scholars Club Advisor Ms. Anderson, her classroom became the storeroom for their service project. Over the course of several months, the students had collected enough shoes and socks to complete their service project. 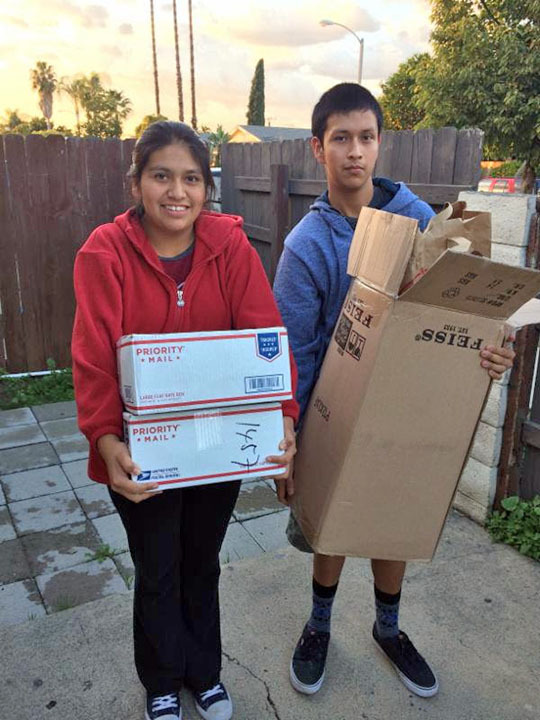 After hearing of their diligence and coordination, several staff members from the Ronald Reagan Presidential Foundation mailed a package filled with unused shoes and socks to encourage Lorena and Rodrigo with their project. The Foundation’s shipment was the final push that the two of them needed. “Now, we have enough shoes and socks to finally make our delivery,” commented Rodrigo after receiving the shipment in the mail. Just last week, H.I.S. House received the shoes and socks Lorena and Rodrigo had promised them just five months earlier. “The Zamora’s ‘Sending Shoes and Socks’ project couldn’t have come at a better time. Unlike last year, this winter has caused us to scramble for more needed items due to the cold and rain. We could not be more appreciative,” commented the shelter’s director. As a result of completing their leadership plan, Lorena and Rodrigo will be attending the 2017 Reagan Student Leadership Program Reunion this spring. Lorena (left) and Rodrigo (right) at the Ronald Reagan Presidential Library. Rodrigo Zamora (left) with H.I.S. House Executive Director Carrie Buck (center) and Lorena Zamora (right). 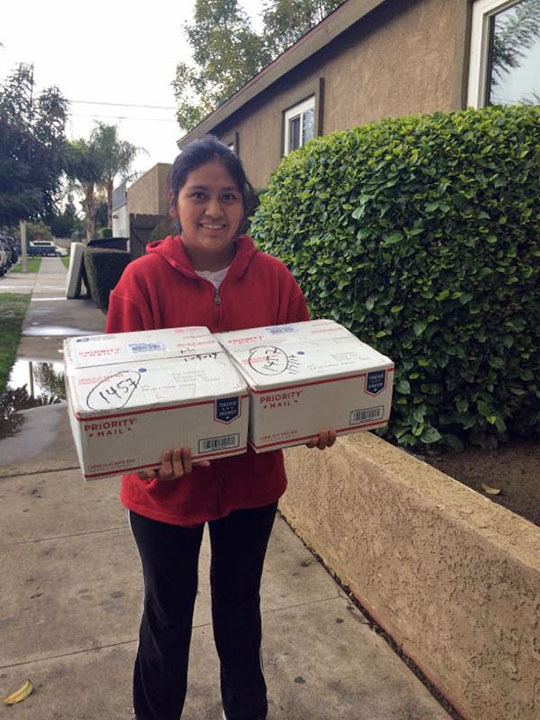 Lorena receiving packages from Ronald Reagan Presidential Foundation staff. Getting ready to deliver several packages filled with shoes and socks to H.I.S House. Be the first to comment on "JOYA Scholars: “Garnet siblings making great strides”"